Enterprise-grade messaging as a service, on demand in your favorite public and virtual private clouds. Get started for free, upgrade whenever you need to. PubSub+ Cloud offers you performant, flexible and scalable event brokers as a service. Event brokers are modern message brokers that support event-driven message exchange patterns across a variety of applications, devices and environments. The PubSub+ broker is what Gartner calls an “advanced” event broker, which means it does even more. That’s what the “+” is all about. PubSub+ supports the publish-subscribe messaging pattern, plus queuing, streaming, and request-reply—all over open protocols and APIs, and all with enterprise-grade performance. With PubSub+ Cloud you get access to those advanced features while we do all the heavy lifting to dynamically deploy, upgrade, patch, and operate your event broker services. We engineer it all to be secure, resilient, and cost-optimized so you can focus on building applications. What can you do with PubSub+ Cloud? Unlock the full power of event-driven microservices with asynchronous, event-driven messaging, simple producer/consumer scalability, high availability, message rate and consumer availability decoupling, and more. Provide your IoT apps with a flexible, bi-directional connection layer with native support for MQTT to let you communicate easily with all your real-time devices securely and at scale. PubSub+ Cloud messaging services can easily be connected to form an event mesh that dynamically routes events between producer and subscriber applications, no matter where they live on the mesh, in real-time. Enable secure, reliable, real-time data movement between legacy and cloud applications over WebSocket, AMQP 1.0, JMS or REST/HTTP. Ingest or distribute data streams from Kafka. Stream data across private and public clouds. All while taking advantage of WAN optimization to minimize bandwidth costs. Securely deliver notifications and messages to mobile devices or web dashboards at scale and at low cost per connection. We successfully used PubSub+ Cloud to connect a global consumer packaged goods company to hundreds of external suppliers, and they now exchange hundreds of thousands of events each day seamlessly. PubSub+ Cloud lets us focus on delivering business value to our customers. Get coding quickly: with an easy web console, dedicated learning center and a REST API for CI/CD integration, PubSub+ Cloud removes all the roadblocks that can slow you down. Work however you want: PubSub+ supports open APIs and protocols like AMQP 1.0, MQTT, JMS, REST and WebSocket, so developers can work with whatever language and API stack they want without worrying about lock-in. Dead simple Ops: “Ops” are fully managed by the service – leave the set-up, hosting, security, maintenance and scaling of the messaging infrastructure to our experts. PubSub+ Cloud delivers the serious performance enterprises need from their event broker infrastructure, including low latency, high availability, security, WAN optimization and more – without all the management hassles. Deploy your event broker services in public clouds in our SaaS or within your virtual private clouds, in cloud Kubernetes services, and soon, on premises – see more below. You don’t need to build, set-up, scale or troubleshoot your event broker infrastructure. We monitor the service 24×7 and perform in-service upgrades, so your messages always get where they need to go, and are cost optimized no matter where they are deployed. Connect messaging services in multiple locations into an event mesh that you can visualize and manage from a single pane of glass. Easily grow your mesh with simple click-to-connect functionality. Maintain control of your enterprise data, with private key and certificate management and private network connectivity. All backed by fully automated security monitoring and patching. Flexible service sizes to meet your needs. Take advantage of annual, committed-use pricing, as well as “pay-as-you-use” billing to minimize cost while maximizing flexibility by scaling infrastructure up and down, on demand. Deployments constantly optimized by Solace engineering to minimize IaaS resource costs in each cloud for every potential broker deployment. Single pane of glass management lets you see what’s happening across your entire cloud event broker estate and make changes as required. Application events can be reported to corporate monitoring systems, and access can be controlled to ensure the right people access the right information. 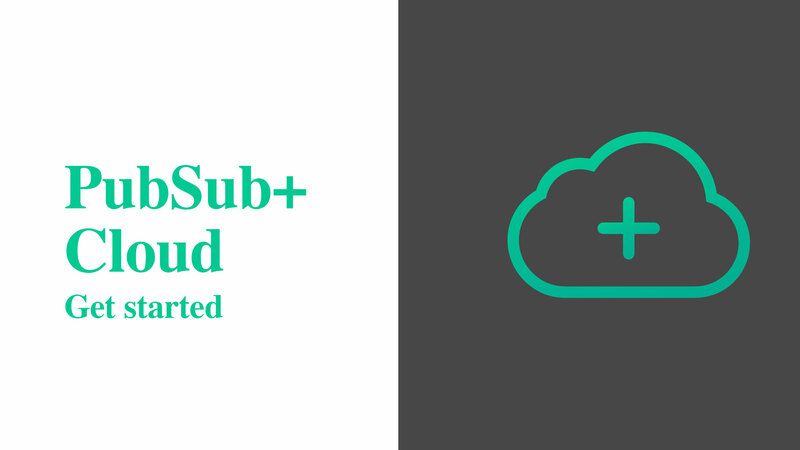 PubSub+ Cloud is the only enterprise-grade messaging as a service available in virtual private clouds from AWS, GCP and Azure. You can deploy PubSub+ Cloud in three ways: in the public cloud, in your enterprise VPC, and in a dedicated messaging VPC. 1. Connect applications running in your VPC to PubSub+ Cloud services in a public cloud using the internet. 2. Use PubSub+ Cloud to deploy PubSub+ brokers into the VPC where you run your applications. 3. Set up a new VPC dedicated to running PubSub+ brokers and connect using a peering link. Here you will see the service status for each system and see details for any reported incidents that were identified, investigated, and resolved. You may also subscribe to receive updates automatically. 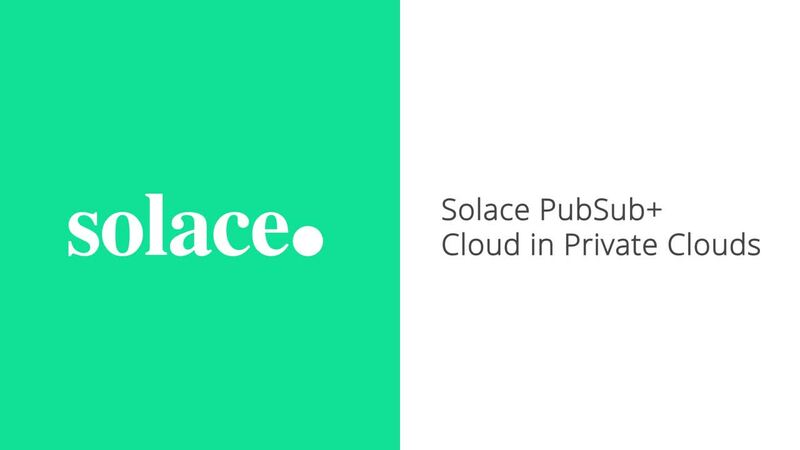 This Solace PubSub+ Cloud Service Level Agreement is our agreement governing the use of the Messaging Service by you under the terms of the Solace PubSub+ Cloud Terms of Service between Solace Corporation and its affiliates and you. This Agreement applies separately to each account using the Messaging Services. Solace PubSub+ Cloud is designed to support mission-critical applications, so we have built enterprise-grade security into every level of the platform to ensure your messaging data remains safe. Learn more about some of the ways our state-of-the-art security protects your data so you can focus on building world-class apps. Solace owns certain Software that it has developed and makes commercially available to its customers for use as a cloud based, hosted service offering. In connection with the use of the Service you and/or your organization or corporation hereby agree to the terms of service and conditions contained herein. Browse through our technical documentation to learn more about PubSub+ Cloud services.